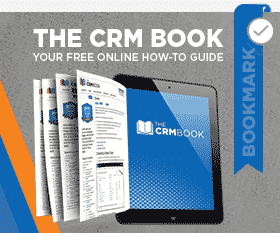 Home CRM 101 Five Tips for Daily Work in Dynamics CRM 3 people are discussing this now. Using Dynamics CRM 2011 on a daily basis, we all have our own ways of navigating the system to get our work done. I like to encourage less clicks and more kicks in CRM, so here are five tips you can use on a daily basis. It may be small, but it’s useful! Whether you are waiting to see the results of a workflow or monitoring incoming records, use the refresh button to see the most up-to-date information available. Filters are a great way to get the on-demand perks of an Advanced Find without making so many selections. You can drill down to exactly what you’re looking for in no time flat. This feature is hard to beat when you have loads of updates or adds to make. First, Export your list to Excel – remembering to flag the box that allows for reimport . Next, make your changes in Excel. Finally, import the data from your saved file. Updates should appear within seconds! Don’t just use Edit to make changes to one record—use Edit to make changes to many records – at once! Though not all values can be changed with this functionality, it’s so fast that it’s worth a try. Use the arrows in a record to navigate through the underlying list. It’s a fast and easy way to move through records. Whether you’re a Power Objects’ Boot Camp graduate or just starting a CRM implementation, hopefully these tips can make your CRM life easier. Sometimes it’s the little things that make all the difference! by Joe D365	May 3, 2013 3 people are discussing this now.